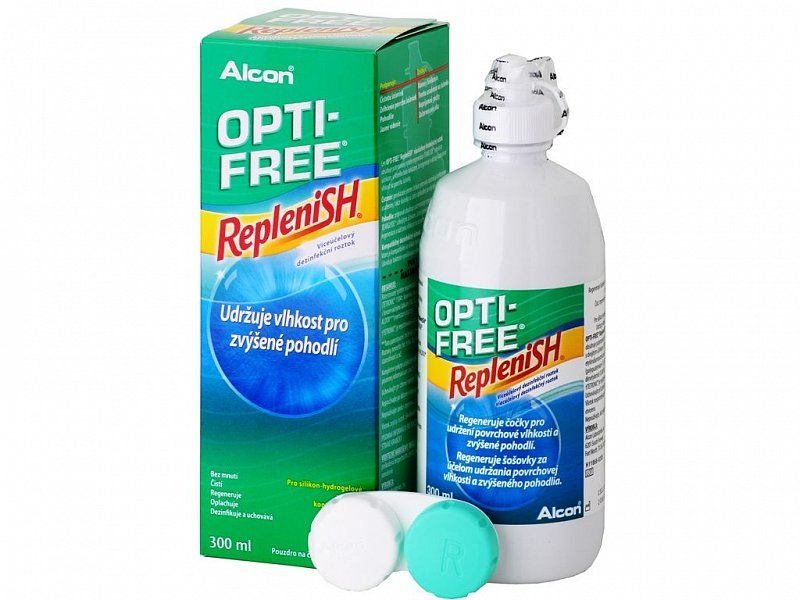 Opti-Free Replenish multipurpose solution is intended for cleaning and storing soft contact lenses. Developed by Alcon, it has been designed to provide even greater comfort of wear than the original Opti-Free solution. Opti-Free Replenish is an effective, multipurpose solution designed for disinfecting and storing soft contact lenses. It was developed by Alcon based on the original formula of its popular Opti-Free Express solution. The new Opti-Free Replenish solution contains improved and updated cleaning ingredients to ensure maximum hydration and long-lasting comfort for contact lens wearers. This package contains one 300 ml bottle of solution and one antibacterial contact lens case. Read more about Opti-Free Replenish solution, also available in larger economy packs. Hello there trying to decide between Optifree Express and Replenish. Any benefit to one over the other, as there's just a slight difference in size and price. Cheers. Hello Andre, Both are high-quality, dependable solutions from Alcon. Optifree express solution is a slightly better value, and is considered a „no-rub“ solutions, which means you can expect the same excellent cleaning power without the need to rub the lenses in your palm with solution.